Today, fast-rising New Zealand producer BAYNK has released the official remix package for recent single “Come Home,” a collaboration with Chicago-based artist Shallou. The pack contains four brand new mixes from Billboard, Shisto, Hazey Eyes, and Cabu spanning various styles but all retaining the essence of hope and subtle melancholy that line the effortlessly smooth track. The pack’s lead remix from Montreal producer Billboard finds a sweet spot bringing the track new life from a seasoned producer having worked with the likes of Max Martin, Robyn, Ellie Goulding, and Ariana Grande. The pack is rounded out by a downtempo mix by Sydney’s Cabu (Majestic Casual Records), a silky smooth remix from Philadelphia’s Hazey Eyes, and a glitchy rework from Maryland producer Shisto. Listen to the remix pack in full HERE. 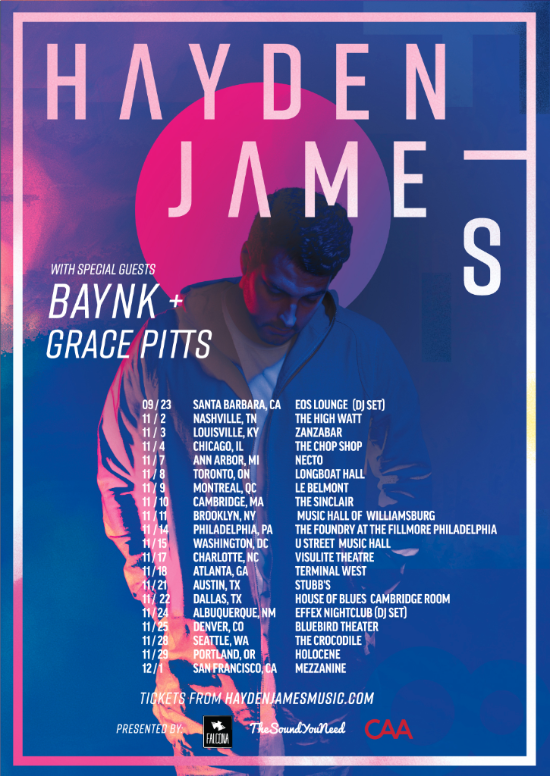 BAYNK has also announced a fall U.S. tour as direct support for Australian producer Hayden James. The U.S. dates will follow a New Zealand headline run. Full date listing below. “Come Home” is co-produced by Chicago-based artist Shallou and features his vocal work as well. The collaboration is a taste of BAYNK’s forthcoming debut EP, slated for a fall 2017 release. Born Jock Nowell-Usticke, BAYNK has been on a fast rise over the last year with a string of singles which have amassed 17MM+ plays on Spotify to date. Early singles like “About Me” and “Could You” began turning heads in early 2016 and it’s been a whirlwind ever since with recent singles “What You Need”(featuring fellow NZ-native NÏKA) and “Poolside” further establishing BAYNK as a top new artist-to-watch in the upcoming producer game. 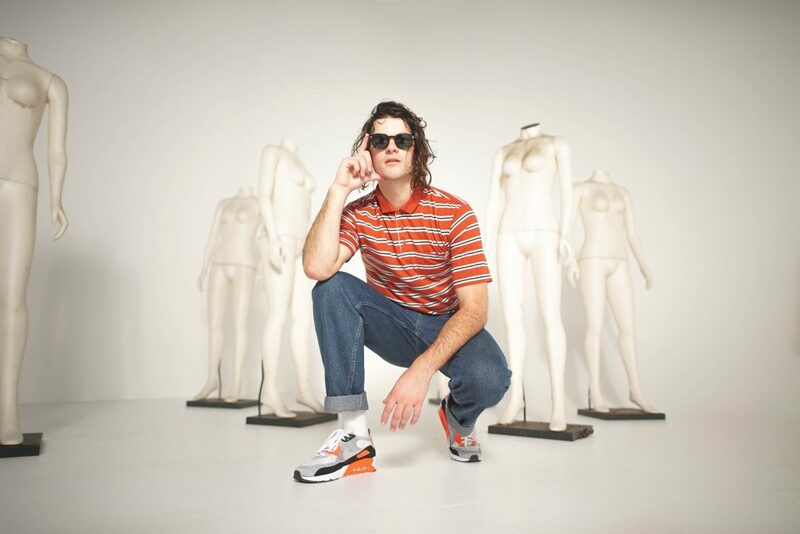 Shallou (real name Joe Boston) has ridden a similar wave of recent buzz driven by standout singles “Doubt” and “Begin (ft. Wales)” as well as his debut EP release earlier this year titled All Becomes Okay. A seasoned musician, producer, and vocalist, Shallou adds his signature beautiful and dark soundscapes to “Come Home,” an undeniable touch that has garnered 25MM+ Spotify streams and love from outlets such as The FADER and SPIN. To add to his fast-growing list of accolades, earlier this year BAYNK participated in a recent Nike collaboration on track “Find You” celebrating Nike’s ‘Air Max Day’ – check it out here. With major festival plays under his belt such as Laneway Festival, Rhythm & Vines and Rhythm & Alps, as well as a 26-date support run with Matoma, BAYNK plans to bring energetic, live instrumental show to more audiences this year. Dig into the “Come Home (with Shallou)” official remix pack now at the links below and be on the lookout for BAYNK’s debut EP, due out fall 2017.